Volunteers play a key role with the Maggie Law Maritime Museum - and we really appreciate their dedication and support! We are always looking for people who are willing to do a shift or two a month (or more!) guiding people around and looking after the museum. Full support and training will be given. We are especially looking for local people who have a good local knowledge to help tell our stories. We rely on donations to continue our vital work and we are always looking for volunteers to help out during our events. Volunteers often man the stalls, recruit fellow volunteers, or participate in fundraising projects. A perfect way to gain some work experience, boost your social skills, or pass the time of day. The obvious reasons are of course to learn new skills and to learn a bit about the local history. But it is also a great way to brush up on your social skills, or to make new friends. It keeps your mind active and you can get a lot of enjoyment out of helping. And often volunteering leads to finding a good job. Anyone from 16 years and older. You don’t need any special skills, just the motivation to help out and willing to learn a little about the local history. We will give you full support and all the training you need. If you are interested in volunteering at our museum and/or events, or just want to find out more information, please e-mail at lotus3679-mlmm2@yahoo.co.uk. Or drop by the museum at William Street, Gourdon, Aberdeenshire, DD10 0LW during opening hours. Know of others who would like to be a volunteer? 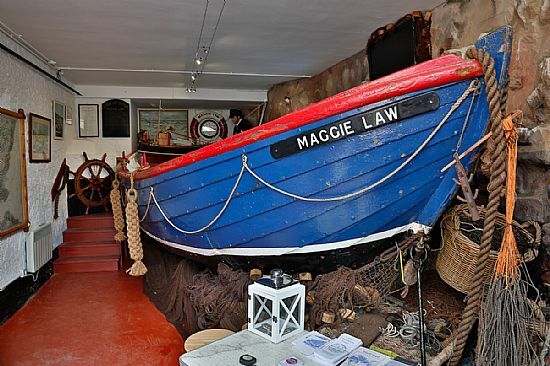 Either refer them to this page on the Maggie Law Maritime Museum Website, or download the MMLM Volunteers poster here.